In fact, after much research I found poodles to be everything I wanted in a pet! 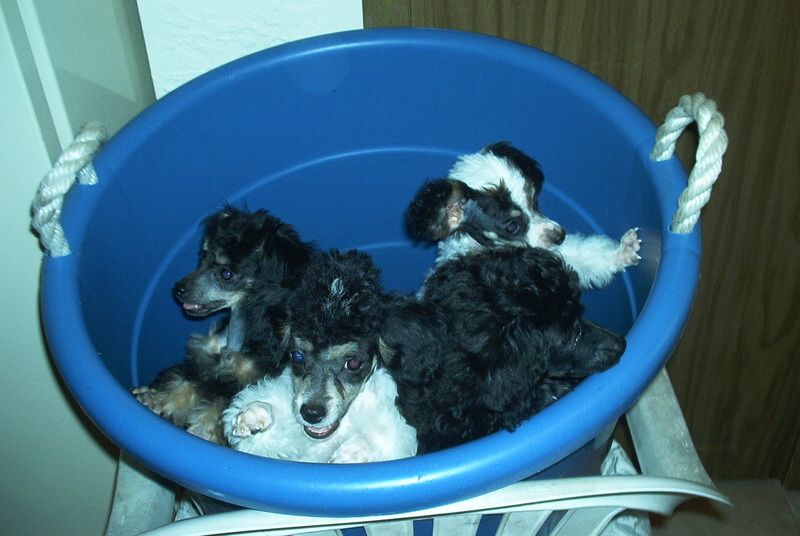 So, I set out to find my first poodles, so I could start a small home raised kennel. I searched all over the country. Finally I found my females in Houston, and males in Alabama and Kansas, and have kept one female and two males to add to our breeding adults. So, that is the start of MARKARI'S PRESTINE POODLES. We have 2-4 litters per year, and always have new and beautiful new pups on the way, our pups are rare colors and are teacup to tiny toy in size so keep checking back! Once puppies get too big for their mommy's room, they graduate to a playpen. They eat, play and sleep in this playpen, and go outside 3-4 times a day, weather permitting. During these playtimes they get to play with mommy, and the other adult dogs, and they often continue to nurse, sometimes even until they are 12-13 weeks old if they are still here, and if mommy will let them, and most of the time she does!